Can Your Child Keep Up With Aligners? Traditional braces are fixed devices, meaning they are not removed until the treatment is complete. In contrast, clear aligners are designed to be removed for regular brushing, flossing, eating and drinking beverages other than water. While this is a major convenience for adults pursuing treatment, not all teenagers are prepared for the commitment that comes with Invisalign. For the most effective treatment possible, aligners need to be worn for at least 20 to 22 hours a day. That means they can’t remove their aligners for extended periods of time if they want their treatment to be on schedule. While traditional braces may be less convenient, they can make treatment easier overall since they don’t require as much discipline to wear as clear aligners do. How Complex is Their Case? Invisalign has made major strides in it’s SmartTrack technology over the past two decades. They’re becoming increasingly capable of fixing common orthodontic problems, even poor bites (malocclusions.) With that being said, it doesn’t mean Invisalign can solve all problems as well as traditional braces. In some cases, severely crooked teeth or significant malocclusions may require braces in order to fix. This will need to be taken into account based on the dentist’s recommendation. What are the Differences in Treatment Time? The average treatment time for braces can vary between two and three years, depending on the severity of the orthodontic case. In comparison, Invisalign is known for being far shorter, averaging about 6 to 18 months, however the length can vary depending on compliance. What is the Cost? How Does Insurance Come Into Play? In most areas, traditional braces will cost about the same price as Invisalign. However, because Invisalign treatment involves a series of clear aligners fabricated all at the same time, fewer appointments to the dentist are necessary. Traditional braces require monthly follow-up appointments to tighten the metal hardware, resulting in a higher cost in appointments, so it’s worth taking that into account. Furthermore, not many insurance plans cover orthodontic treatment. Insurance plans that do cover treatment, either for braces or Invisalign, may do so up to $3,500. The best way to know for sure which treatment is most ideal is to schedule an appointment with a cosmetic dentist! They’ll take the time to examine your child’s case and provide their best opinion. Dr. Andrew Luccio has completed advanced training in Invisalign on top of his dental education. 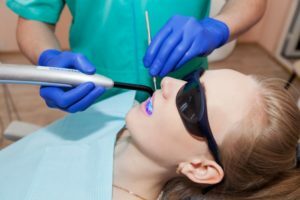 As a member of the American Academy of Facial Esthetics, he understands the importance of making sure a smile doesn’t just function properly, but meets the patient’s aesthetic needs. To learn more about his practice, you can contact him through his website.